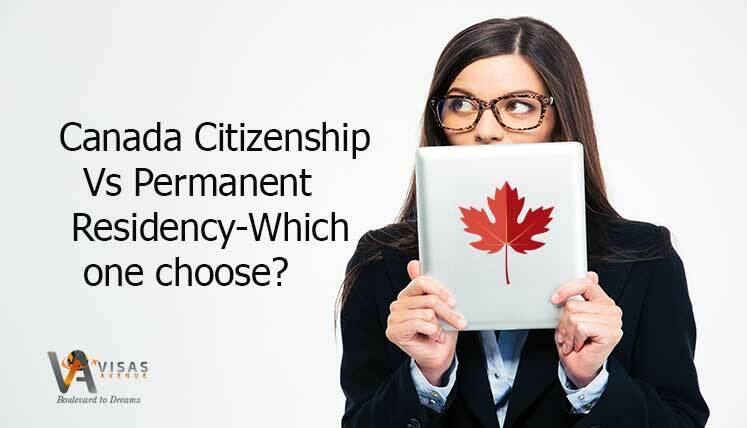 Canadian Citizenship Vs PR visa –Which one to choose? The people who wish to move to Canada often eye at Canadian citizenship. The layman often don’t even know something of a similar sort exist that can get them the similar rights and privileges as an immigrant in Canada. We are talking about permanent residency in Canada. In fact, Canadian permanent Residency if the pathway to citizenship in Canada as well. Most of the immigration programs in Canada, i.e. federal Express Entry System, Provincial Nominee Programs, Quebec Skilled worker Program, etc. provides you pathway for permanent residency only. You have to spend some years in Canada as a permanent resident (PR) to apply for citizenship. Hence, PR is a pathway to citizenship as well. However, not many of the Canada immigration aspirants know that it is as good as citizenship. Let’s take a look at the key benefits of Canada PR. As Canada PR you get the social benefits accessible to all Canadian permanent residents and citizens, i.e. social services, healthcare, education, etc. Moreover, if you can retain your home country citizenship and remain in Canada as a permanent resident as long as you want. It means, you are not forced to apply for citizenship at any point of time. It’s especially an advantage for those, who wish to get back to their home country at any point of time in future. Canada also permits the immigrants to keep the dual citizenship. Hence, if your home country permits the same, you can always retain the citizenship of both countries at the same time. The citizenship of Canada obviously provides you with some advantage over the permanent residents, i.e. you can more actively be involved in Canadian life as a citizen. For instance, you can vote in the elections and also run a political office, unlike a permanent resident. As a citizen, you have Canadian passport, based on which, you can travel to many countries and get the advantage as well as a traveller from Canada. You don’t face a restriction of applying for a job in some specialized government departments, i.e. defence, army, etc. When you can apply for Canadian citizenship? As an applicant, you require to be physically present in Canada as a permanent resident for 1,095 days within the five years immediately before applying for citizenship. So, even if your ultimate goal is to become a citizen of Canada, the primary step remains getting permanent residency through the relevant immigration program, i.e. express entry, PNP, etc. If you wish to apply for Canada PR and subsequently, citizenship, you may get in touch with the Visas Avenue Specialist for vital process assistance. It’s the top and accredited Immigration Consultancy Company for Canada in India. You may callVisas Avenue migration experts on Toll-Free Number- 78-18-000-777. Moreover, to get your eligibility checked and subsequently, get a call from the expert, you may fill the free assessment form.